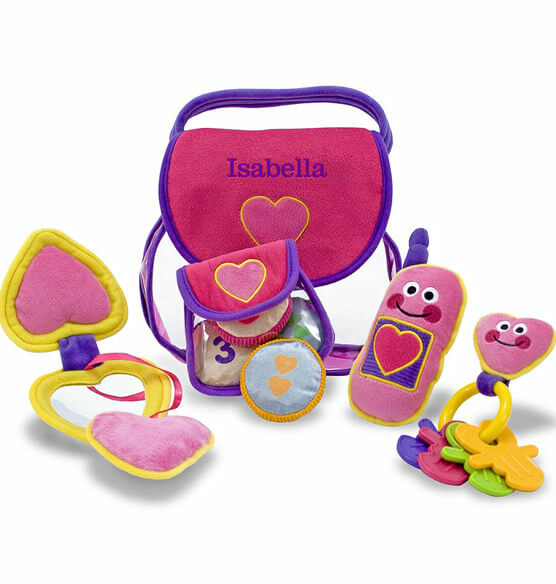 Everything necessary for kids on the go fits into this pretty Melissa & Doug® Personalized Pretty Purse Fill and Spill! 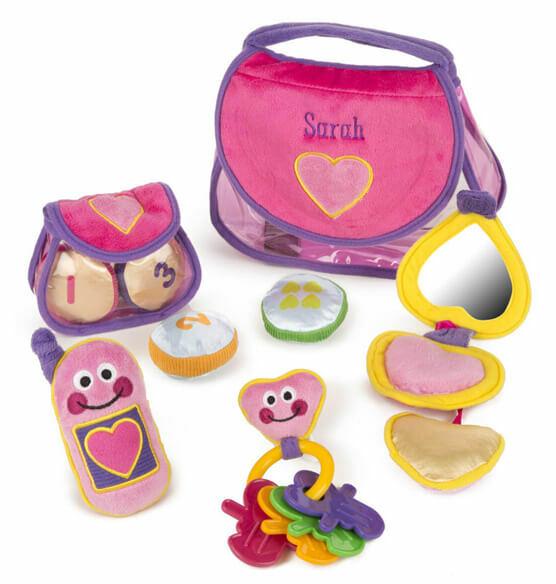 This soft plush purse set includes a cell phone that chimes, a key ring with keys, a change purse with coins, and a compact with a child-safe mirror. Everything is easily removed and replaced into a charming pink purse with a purple handle. 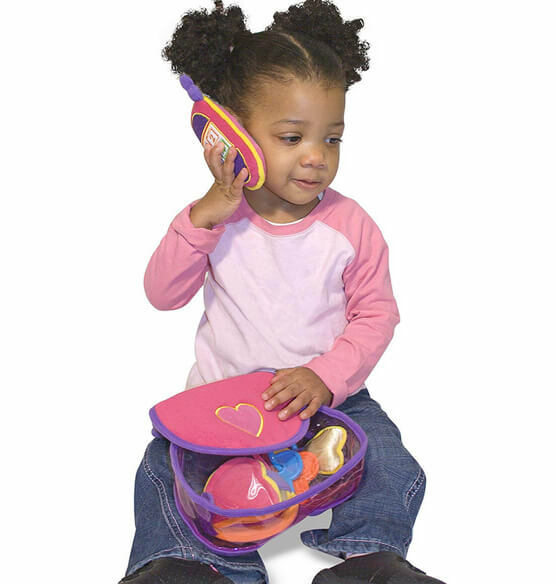 Constructed of high-quality fabrics and plastic, this durable children's toy set will provide hours of pretend play fun! Express shipping not available. Please allow 2-3 weeks for delivery.